Big Brothers Big Sisters of Dane County takes pride in preparing mentors to have a “Big” impact on the children they mentor. Now that children are out of school for the summer, many of us, whether we’re parents, caretakers, aunts and uncles or simply someone with influence over a child, have a great opportunity to keep the kids we love learning and engaged. Big Brothers Big Sisters of Dane County CEO Sandy Morales spoke to NBC 15 about keeping children engaged. Check out the video by clicking here. We train our Big Brothers and Big Sisters to focus first on building a relationship and to keep that relationship growing and strong by setting realistic expectations, deciding activities together with Littles, being consistent and dependable, setting boundaries and limits, and putting a child’s safety and well-being first. These are words of parenting and caretaking wisdom for all of us. 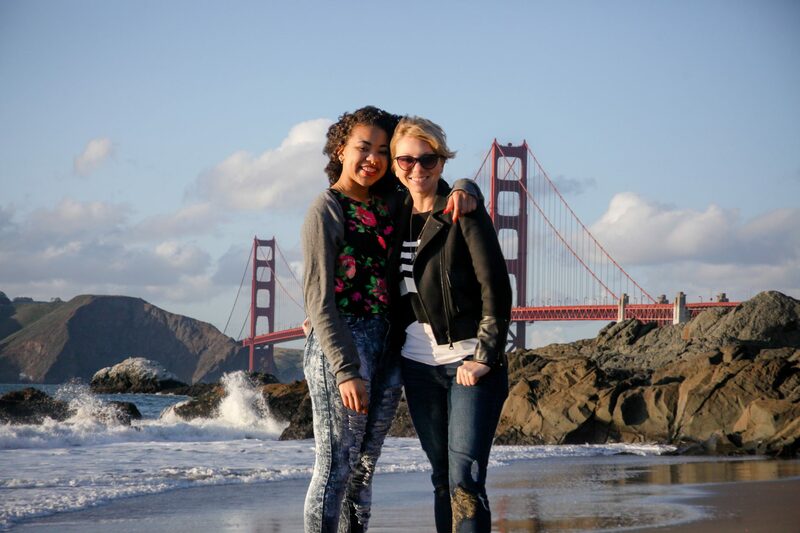 Our mission is to engage kids by making a life-changing investment through mentorship. Great parenting and caretaking is, of course, life-changing too! 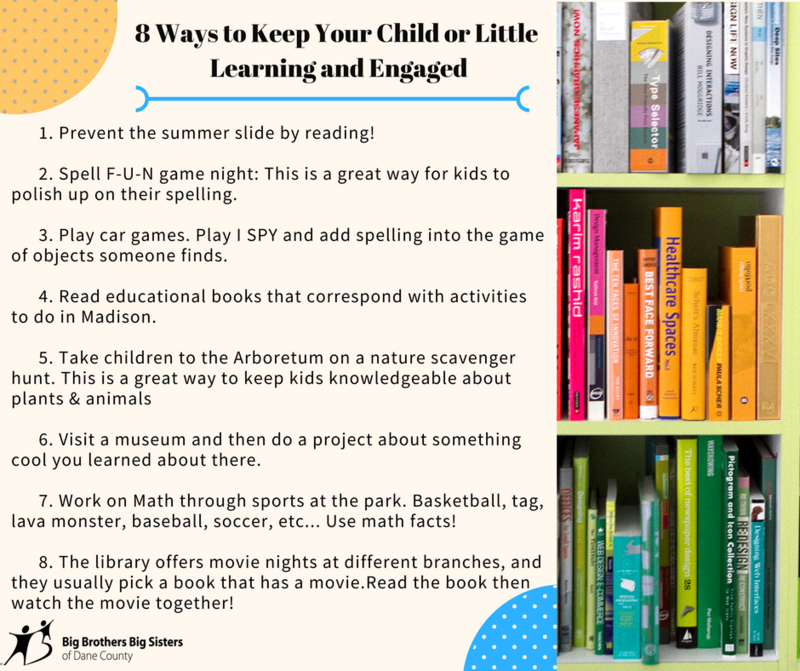 From our Match Support team, here are 8 Ways to Keep Your Child Learning and Engaged this summer–whether you are mentoring, caretaking or parenting!